People are already lining up at their local clinic to get flu shots, but did you know there are natural remedies you probably have on the shelves in your kitchen that can keep you healthy and even cure your cough or flu? This natural remedy has also been known to cure headaches, inflammation, respiratory problems, nausea and motion sickness. Some folks even find this combination of ginger and honey a lot tastier, and certainly less expensive, than the over the counter medicines you find at your local stores. When mixed, honey and ginger make an excellent expectorant, providing instant relief from coughs, colds, sore throats, and runny noses. 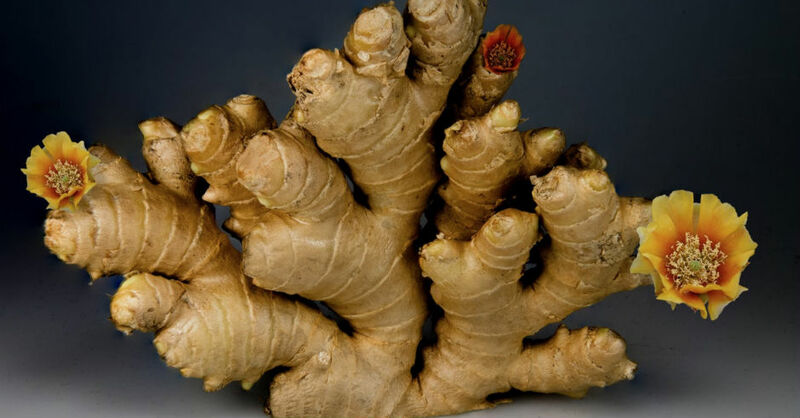 Ginger has also been used to reduce nausea and vomiting that often comes with pregnancy and morning sickness. When combined with the soothing effects of honey, the combination makes for a powerful preventative solution. Honey and ginger have their individual benefits, but when you combine their powers, they become something else entirely. Because ginger and honey work together as an inflammatory, when you mix them, they can help treat or reduce the effects of asthma, because the mix helps release tension and promotes oxygen flow to the lungs and relaxes blood vessels. Some studies show that the honey and ginger mixture has chemo-preventive properties and stimulates antioxidant enzymes that reduce the chance of cancer growth and metastasis. And because ginger can help reduce nausea and vomiting, it's helpful for those who've gone through or are undergoing chemotherapy. You can buy ginger in the produce section of any grocery store, or if so inclined, grow it in your own backyard. Honey is readily available almost anywhere. Finally, the honey ginger tonic increases the absorption of other nutrients from food and reduces waste. In relation to heart health, the honey and ginger tonic has shown a tendency toward easing blood vessel tension thereby decreasing blood pressure, and reducing the chance of atherosclerosis, heart attacks and strokes. For these reasons, people around are keeping ginger and honey stocked in their homes as a natural remedy. You can add honey to ginger bread, cookies, ginger ale, any recipe you can think of that includes ginger, to enhance the flavor and your health. Replace sugar with honey in your favorite drinks as a way to boost flavor and your immunity.